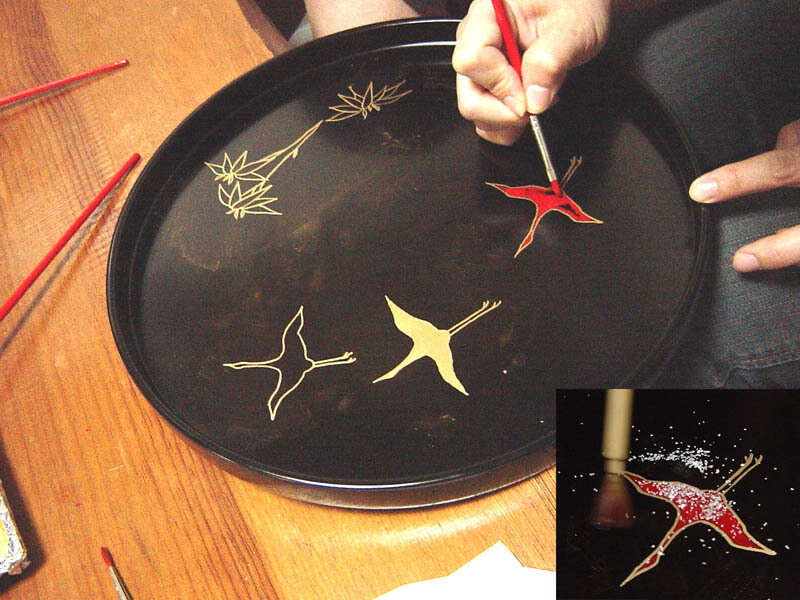 Inui Shikki (lacquer ware) has been serving the community of Kyoto, the ancient capital of Japan, since the 1920s. 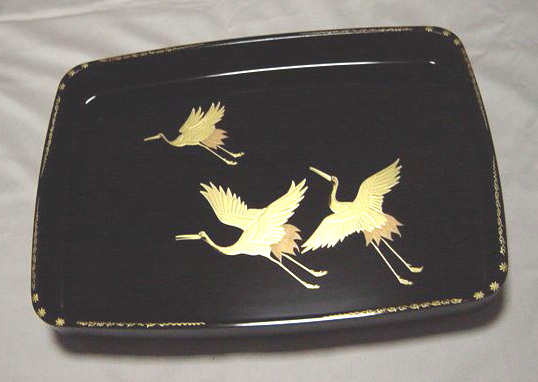 As the Japanese life style changed drastically, especially over the last several decades, the needs for and use of the lacquerware have changed a great deal. Nowadays, they are recognized as art objects rather than a necessity of daily life. In recent years, we have been working on creating newer forms of lacquer art (instead of lacquerware) such as interior decorations and accessories, with collaborations of skillful craftsmen and innovative designers to meet the new demands. 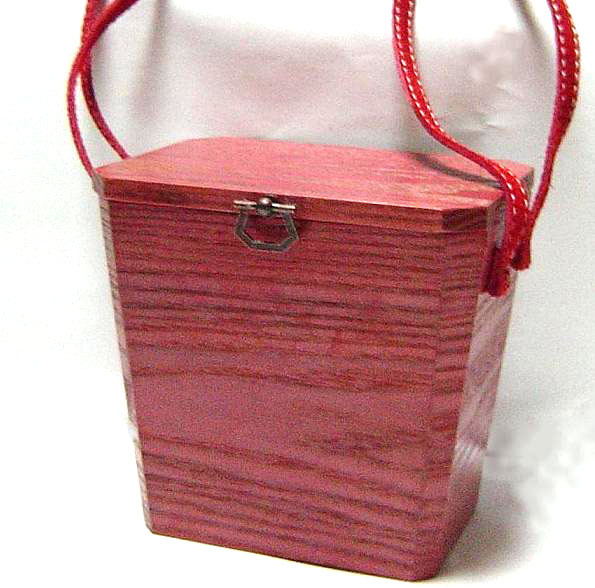 * Makie is a decorative method applied onto lacquer coated objects. 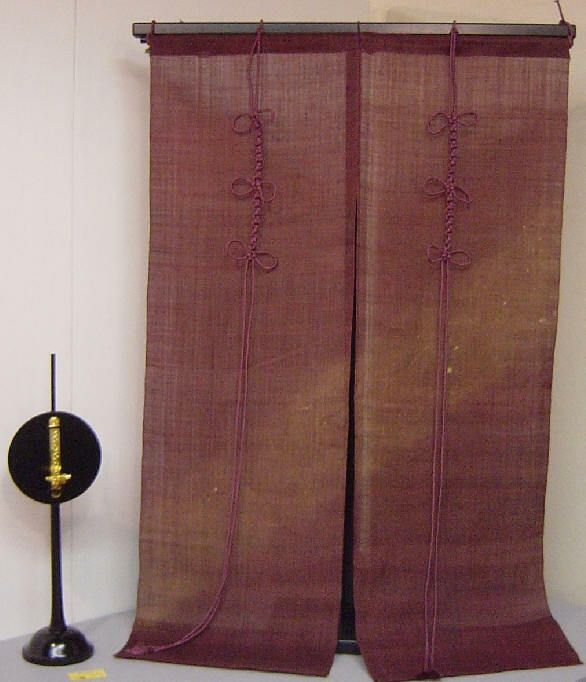 The exquisiteness of this technique was fully developed in the 6th Century in Kyoto, the cultural and political capital of Japan. 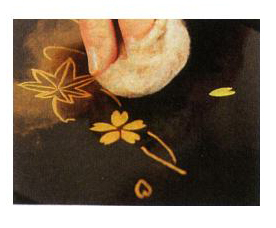 Traditional and modern motifs are individually drawn onto lacquer coated wood or natural stones. 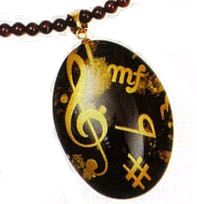 Enhancement of Makie with gold or silver powder, precious stones, or mother of pearl adds a gorgeous feel to the design. 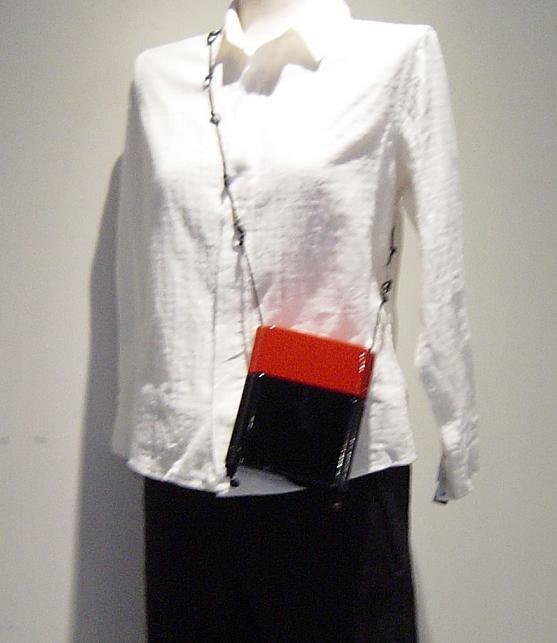 Each item is unique and one of a kind. 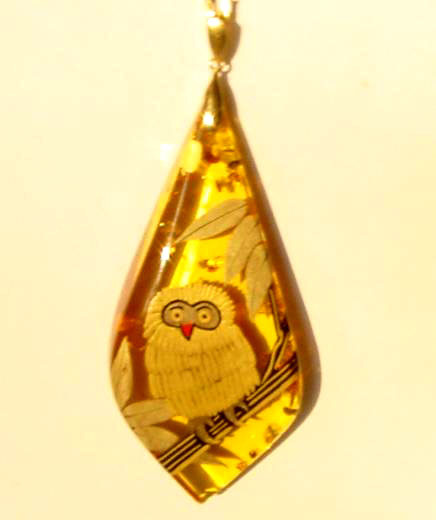 Giftware Lacquer products are great gifts for all occasions. A picture frame can be a perfect Christmas present. We can add a commemorative notes or any inscription to give them a custom touch. 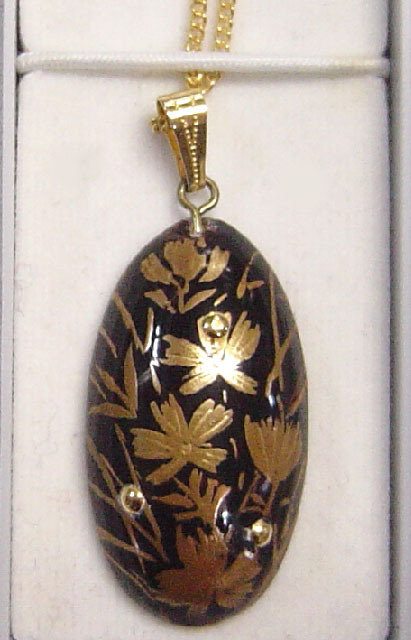 We have been exploring new ways to utilize lacquer art in western life style. A fusion of traditional technique and innovative designs will add inspiring looks at your home. The bottom far left is the Kyoto Lacquer Art Association's Award winning Inrou (Samurais' medicine case/accessory) style box with a gorgeous Phoenix design. It can be used as a purse or interior decoration. Tableware, Tea Ceremony Items　Bowl, tray, dish, plate, Matsume (green tea powder container), Chashaku (tea spoon), and others. Soup bowls, tea saucers and chopsticks are still necessity for everyday life. We offer affordably priced products made outside of Kyoto as well as high-end custom-made tableware. All tea ceremony goods are made with the splendid craftsmanship. Ceremonial Goods　Wedding, Engagement, Funeral, Award Ceremony, Graduation and other occasions. 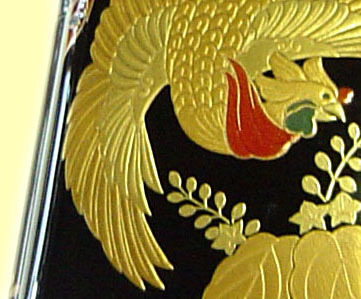 Lacquer coated ceremonial trays with Kamon (a family crest) are a necessity to conduct all ceremonies. 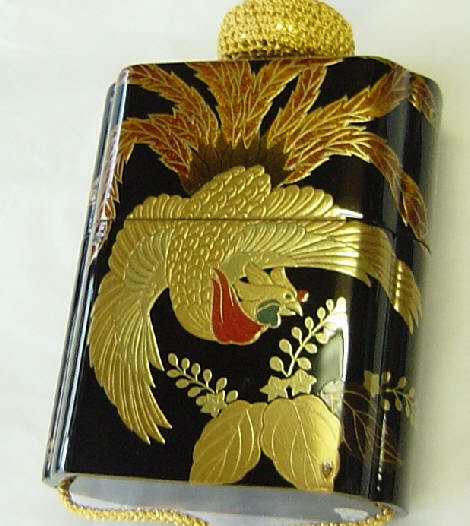 Until the Meiji era (1869), only people in Samurai-class and the Royal family were allowed to own Kamon. Among over eight thousands different Kamon commonly used, certain Kamon are a symbol of a specific family. The 16-petal chrysanthemum is known as the Imperial symbol. The mallow tree leaves is well known as the Tokugawa-Shogunate symbol. Would you like to design your own Maki-e? Our introductory class will give you good ideas on the process of Maki-e. You can enjoy making your own and bring it back home.